Evermore at West Village Condos is located in the Islington-City Centre West neighbourhood in Toronto,3 minutes away from the Cloverdale Mall, 11 minute drive to Humber College, and 6 minute drive to the Kipling GO Station and Kipling Subway Station, Many nearby Public Transportation Options, and Walking distance to Etobicoke Civic Centre, Evermore is close to shops, restaurants and schools, and also close access to the Highway 427 and 401. 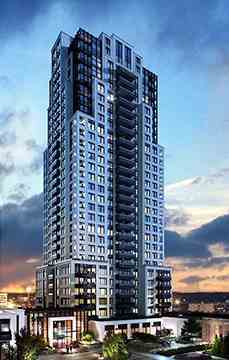 Evermore at West Village Condos is a new condo project by Tridel and is currently in pre-construction. It will be located at 10 Eva Road (The West Mall and Eva Road) in Etobicoke.Evermore Condos will be the third phase of the 4 building master- planned community at West Village.